Flower Sculptures by Kathleen Horner are meticulously handsculpted from 140 lb. watercolor paper, hand-painted with acrylics, and coated with a waterproof sealant. 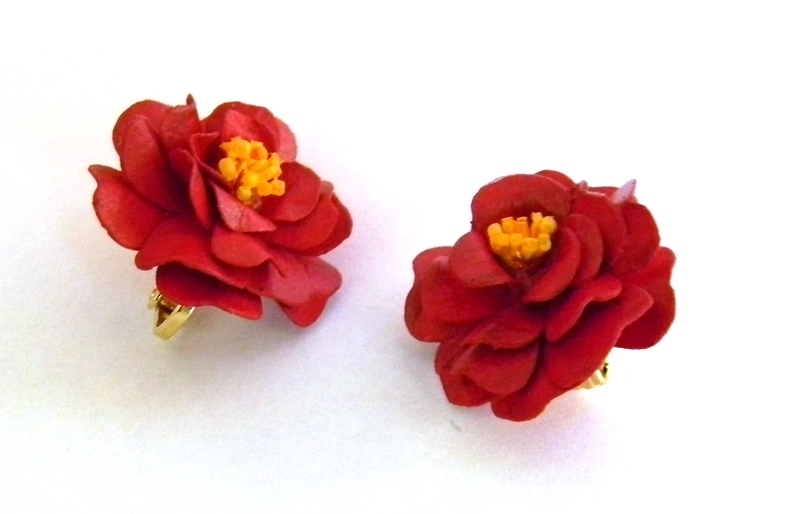 Each pair of flower earrings becomes a realistic work of wearable art.